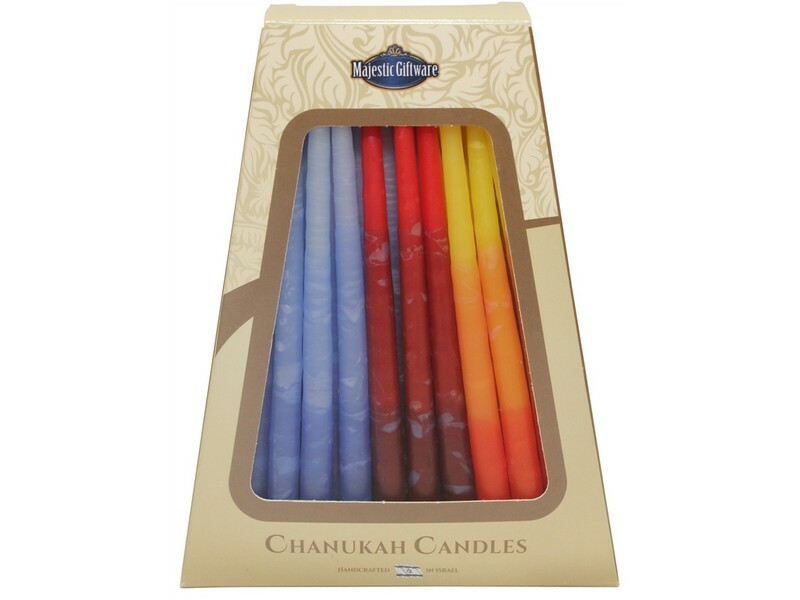 Safed Chanukah Candles - 45 Pack - Blue/Red/Orange - 6. These beautiful candles are designed and crafted in the holy and mystical city of Tzfat, Israel. Perfect for Chanuka or any other occasion, these candles come in a beautifully shaped box and contain 45 candles. There are a variety of colors in this box, including shades of blue, red and orange. Candles are shaped in a tapered form. Candles burn for 6 hours.